Man, am I incredibly excited to get to write this post. A number of absurdly fortunate events conspired to allow this to happen - in the end of my time in China this summer, my friend (Kyle, actually! An editor here) and I have been traveling miscellaneously, a bit. The penultimate stop before heading back to the States was Shanghai. While we were in Shanghai, we got to wandering. There's a lot to the city, not even a small percentage of which we explored during the short, three-day trip. On one outing, our first day, we walked past a very large, reasonably well-known hotel in the city - The Peninsula. As we circled around it, I looked across the street and saw, in their lobby level, a Sennheiser store. What a coincidence! We decided to stop in. As I walked in, directly in front of me are not one, not two, but five HE-1s. All in glass cases. I turn to the right, and look into a listening room, with its automated, sliding, glass doors. Inside is another Orpheus. Are you kidding me? A pair of headphones so rare and expensive that you usually have to book an appointment to listen to the one set of them that is present in a large, obnoxiously loud convention hall, and this store has six of them. What an incredible opportunity this presents. So, I do the obvious: plainly ask if I can have an audition of them. I'm met with a yes, and the excitement brews. I get to sit down, with the employee's velvet gloves donned, and peruse through a meager collection of CDs. There's a lot of good classical, a few test-track albums (mostly compiled by Sennheiser), and an album with some of the 2016 Grammy nominees. I pick the Grammy nominees first, and they slide open the Electrocompaniet EMC1 Mk III that runs fully balanced into the back of the HE-1. My jaw hits the floor over the next 10 minutes, et cetera. Kyle has his turn, and while he does, I ask what I knew I had to - could I come back, and spend a bigger chunk of time on these? I'm met with a fairly enthusiastic yes, and the addendum that I'm able to provide my own signal! Now that's a step above the opportunity I already had. It's great to be able to hear a pair of headphones as tremendous and rare as these, but it's even better to be able to bring it tracks that I know I know, and that I'm comfortable using as reference material. Now we have to sidetrack. I have a chunk blocked out for me on Friday, and it's Wednesday at this point in my story. That means that I have two days to find a way to get my music through the HE-1. 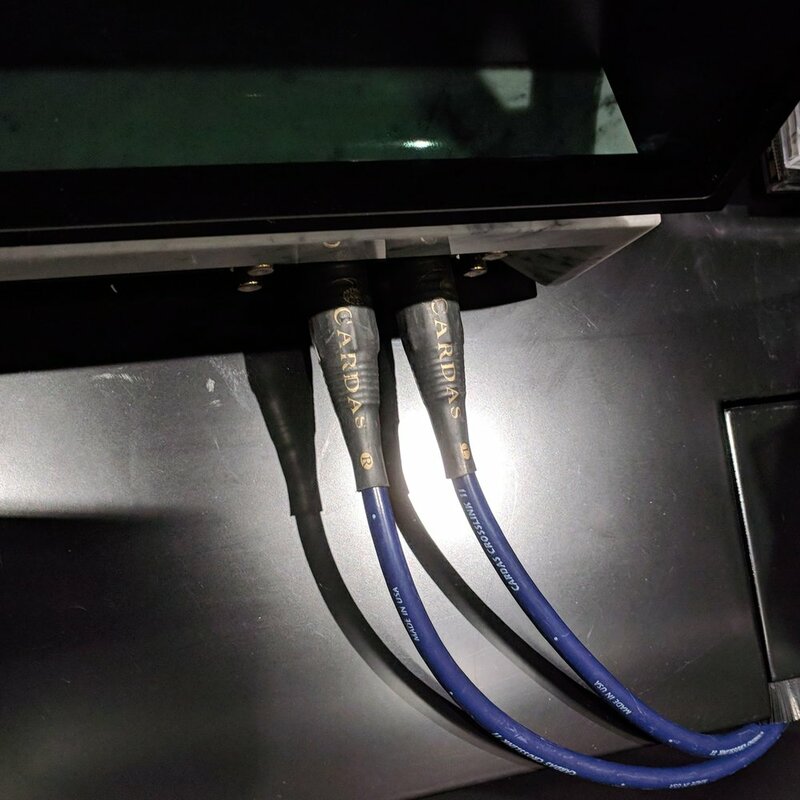 There are a couple options - the first that popped into my head being to use the iFi xDSD which I was currently reviewing to pass signal directly in through unbalanced RCA. That, although completely workable, seems a little cheap for the line established by the, "Oh, it's only the cost of a very nice, new car"-HE-1. So I decide that the better option is to burn my files to CD, and use their EMC1 to carry the signal. Now, I'm presented with a new problem - finding blank CD-Rs in Shanghai, which is a surprisingly challenging task. It ends up that, after wandering around a few different markets and vendor streets, the best bet is Shanghai's SEG Electronics Market, a many-storied building much akin to the ones that constitute Shenzhen's Huaqiangbei (aside, one of my favorite destinations of this trip). My Mandarin is very shoddy. Some might even say horrible (and some have). So this presents a new problem, as Kyle is unavailable to help me out. After struggling through a couple floors of the market, I've finally got directions to where I need to look - Floor 3. I head up, scan around for a while, throw out a few, "你有什CD-R么?" and eventually end up with a 50-stack of blank CDs. So I get back to our hotel, and begin drafting up a list of what songs I'd like to hear. I settle on a list 14 tracks longer than the one you'll see below, sorted by first alphabet and second priority, understanding that I'll have access to all of them at listening time, I'll just have to choose which to actually listen to. 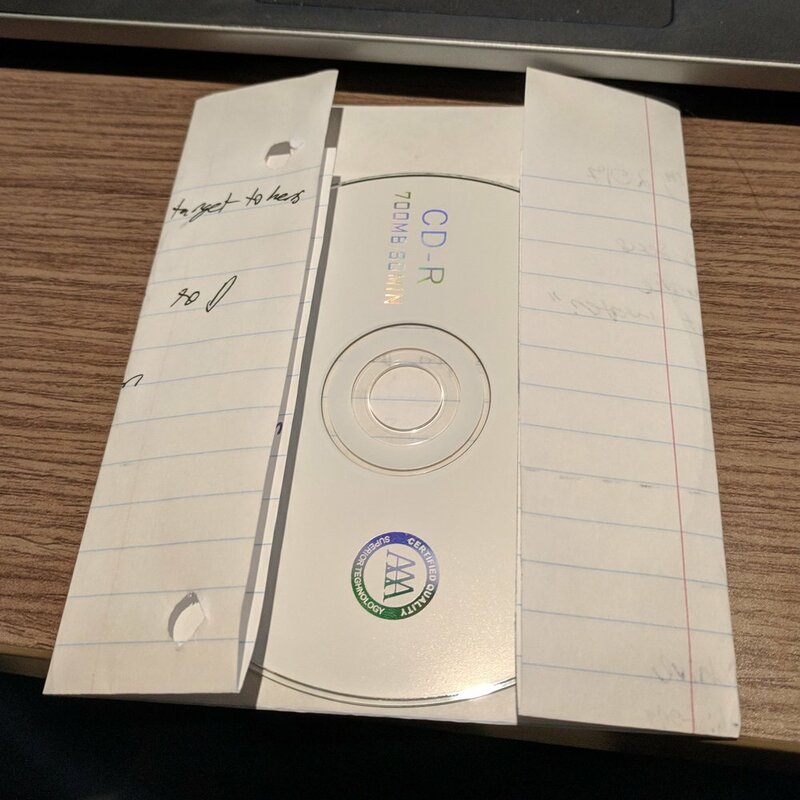 After the surprisingly cumbersome process of burning and verifying the FLACs to the discs, I fold up some hand-made, adhesive-free CD cases (patent not pending) out of some of last semester's math notes and pack them up, along with a blank review document to fill out. And now we're at the point where I head to the shop. I'd like to note here a few things. First and absolutely foremost, my most sincere thanks to everyone at the shop, particularly Khloe and Polly, the former of which helped me set up the time, and the latter of which actually managed my being there. Second, this is actually a pop-up shop. Let me say that again, with context. This pop-up shop in the lobby level of a hotel has six Sennheiser HE-1s. Just to make sure that we're all clear on exactly what is going on. Third, I immediately developed a bit of a policy when I realized that I had this time. This third point has sub-points! The first element of my policy is that, first and foremost, I was here to enjoy these incredibly rare, incredibly well-engineered headphones that I was lucky enough to have the opportunity to run with my own music. Second, if I find anything that was abrasive - that I didn't love - I'd mention it. Aside and dependent on the former two sub-points is that I approached this from the perspective of not a reviewer, but of someone who loves headphones and loves music. This was for two reasons. One, I have an hour and a half with them. I commonly spend 60 analytical hours on a headphone for review. One of those numbers is less than the other. Second, I review for a reason. That reason is to try to provide, with what knowledge and experience I have, a nuanced, accurate, and fair perspective on an audio product such that a potential buyer of that product can, after having read my review, leave with a better, more informed perspective on that product. Hopefully that allows them to better decide whether or not they want that product. Please, please, please let me know if any of you, as my readers, are considering buying this $55,000 pair of headphones. I'd love to meet you and, hopefully, become quick friends. I'm not in the market for them, either. This review serves to provide a window into my experience of these headphones. Nothing more, nothing less. I don't intend anything said as conclusive - I spent an hour and a half with the damn things. Sure, that hour and a half was nearly life-changing, but that's purely besides the point. So - format, after that long (and hopefully, at least somewhat interesting) background story. The first thing you'll see below this (already lengthy) wall of text is a list of song titles and paragraphs underneath them. My approach to this was that I had very limited time to get out maximum enjoyment (and secondarily, content) from this listening session. So, I approached it as stream-of-consciousness, or closer to that style than my reviews normally are. Each paragraph is just what I was thinking as I listened to that particular track through the HE-1s. As a result, they are much more colored than, I think, my reviews normally are. There is flowery prose. There are bad metaphors. There may even be some unpolished, incomplete thoughts, who knows. Please accept these simply as artifacts of my enjoyment and appreciation of these headphones. After that, which was pulled directly from my actual listening time with the headphones (each paragraph was written during that track's runtime), there's a more condensed write-up which covers my overall thoughts on the headphones and on the experience. For those that don't like my writing (can't blame you, opinions are exactly that), that can serve as a way to avoid some of it. However, I will say that I think there are some genuinely valuable thoughts on the headphones in the paragraphs immediately below. The reason that that approach was useful is that it allowed me to immediately notice and immediately record anything that stuck out from normal, non-vehicle-priced listening sessions of days and years past (timescale being dependent on the track). One (I promise) final note, which I feel is unique to my listening session with these headphones and warrants mentioning. To my knowledge, these impressions and this review may be a tad more fanatical than some other ones out there. I ascribe this to the ideal-ness of the session. Oftentimes, listening sessions on these headphones are reported from a convention floor. They're reported from one of the loudest possible environments in which you'd commonly test headphones and, more importantly, they're reported from a very unideal set of test tracks - at best, "Hotel California," which, although a wonderful track, is not (I don't believe) in most reviewer's common set of test tracks. I had the opposite experience. 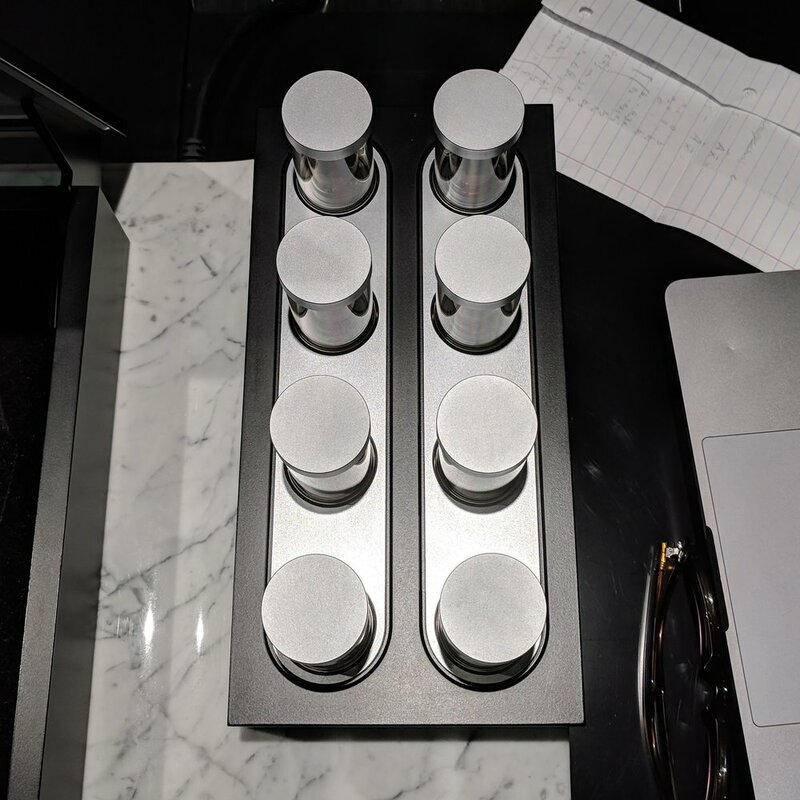 In the quiet lobby of a (much too nice) hotel, I was given time with music specifically and exclusively selected for my prior knowledge of it, in a sound-isolated, empty, closed room. I think that this offers a much more ideal exposure to a pair of headphones as incredible as these, and I think that this reality is why this review may come across as a bit more fanatical. With all that out of the way, please enjoy, because I sure did! The most striking element of this track through the Orpheus was the introduction. The vibraphone came alive, with its creaky pedal included, like I had never heard before in this recording. Brittany Howard's voice resonates with the added reverb just as though I’ve got a (very nice) pair of headphones on in the recording booth. With this track, at least, I almost appreciate the smaller soundstage of these headphones (compared to my "warmup" pair, the HD 800 S), as it pairs very pleasantly with the confined, warm signature of the song overall. When constructing this set of test tracks, I wanted to be sure to include a binaural recording of some sort. Novocaine from Sessions from the 17th Ward seemed the perfect choice. 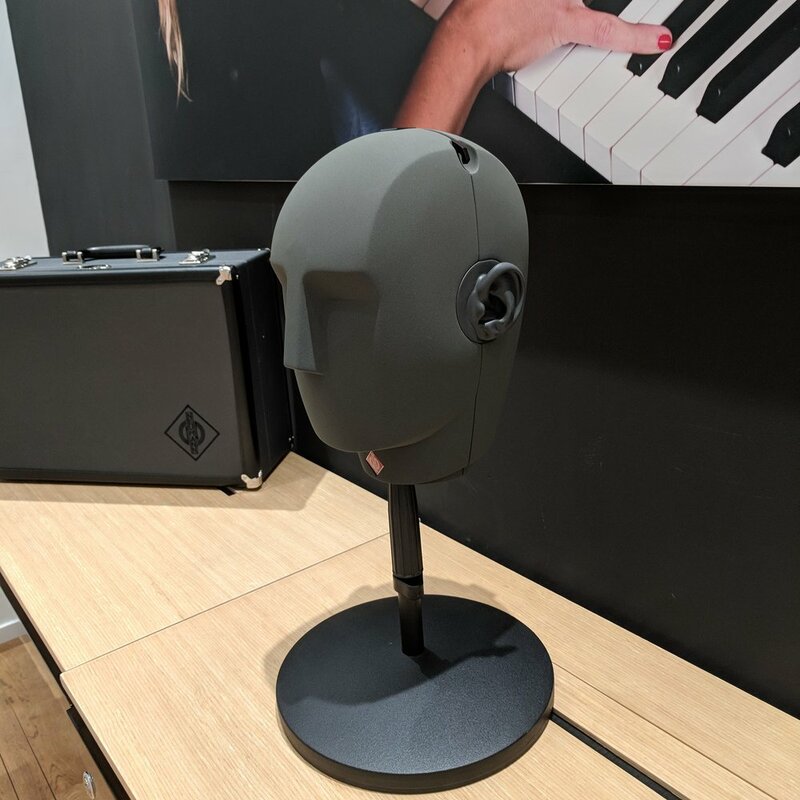 The induced soundstage created by the binaural recording style, combined with the utter fidelity of these headphones makes for a supremely enjoyable listen. The texture of the various bowed strings, in conjunction with the cajon underlying the rhythm of the track just sing. Speaking of singing, every single vocal tick of Amber Rubarth’s delicate alto comes through clearer than I’ve yet heard it, and I’ve heard this track through more headphones and more times than I could possibly count. The overarching characteristic of this listening thus far is, without a doubt, the realism of these headphones. Especially with this binaural recording, I literally am not sure I could differentiate this live from recorded, post-processing nigh assumed. The heft of this track is not betrayed by the HE-1. Every hit, and especially the melodic runs that precede them are just gutturally satisfying. I've now discovered texture in some of the synth packs used that I hadn’t heard before this listening, although that may be excusable, since this track entered my library relatively recently. Something that came through on this track, particularly, is that, although smaller than some other headphones in soundstage width and depth, the imaging on these is none too shabby. The precision and detail, especially considering the smaller soundstage is very impressive. This track was put in the set because, as much as this listening session is a micro-review of the HE-1, it is also an incredibly rare opportunity for me as someone who loves headphones to hear some of the absolute best of the best, and I absolutely love this track. However, this track also poses an incredible challenge to many lower-end headphones; the increasing, consistently breakneck pace of the saxophone line is recorded in detail, but very rarely presented the same. And guess what! Not even a drop of sweat from the Orpheus. The only thing that I’m discovering as I listen to these for longer and longer, with more and more of tracks that I know intimately (or thought I did), is that these are truly, truly marvelous. I’m finding myself continuously just closing my eyes, and smiling. I literally breathed a sigh of relief at the tension break in this track, involuntarily. This is another enjoyment track for me. It’s one of my favorites from one of my favorite groups in one of my favorite genres, and I couldn’t help but include it. Thankfully, I also know it very well! Something that this track immediately added to my understanding of these headphones is that, when called for, they can punch pretty hard. They certainly aren’t bass monsters, but there’s a very satisfying, very crisp, and very enjoyable thump in there. The clarity of each element of the beat, combined with their cohesion through these diaphragms, man. These nearly beat the group live, and that had a mosh pit included, which this certainly does not. And I’m only five tracks in, what a treat. Crispness and clarity is what I’m looking for here, and it’s exactly what I’m finding. The texture of the static stabs in the background at the beginning is one element that specifically improved through these, God only knows why. I’m finding the same satisfactory thump here, and it still impresses me, especially for a pair of open-back electrostats, even ones as large as these. The delicate underlying pitter-pattering around 2:15 in this track is particularly impressively conveyed, as it’s obvious that the headphones still maintain every single bit of precision in start/stop speed at that incredibly low, background volume. A light touch of mandolin – exactly what this listening session needed. The combination of well-recorded piano and Chris Thile’s crooning is essentially beautiful through these headphones, as literally nothing (to my knowledge of the track) is missed. Chris Thile I’ve also seen live, and this rivals that in terms of fidelity to source, even considering that I’ve heard it from the source. I’ve been a fan of Glass Animals since their first album, Zaba, and what I always appreciated of them was their dynamicism. They are not afraid to make you endure the quiet to get to the loud, and it helps tremendously in the impact of their songs. I’m very excited to see how the Orpheus treats that concept. Mandy Parnell manages the mixing and mastering of Glass Animals’ albums, and man, does she do a wonderful job. The staging, presentation, and location of every piece of this track is very overtly consciously thought out, and tremendously duplicated through the HE-1. In the midst of the din of this song (2:18), I’m happy to still hear, with perfect detail and separation, the light, fuzzy smashing of a hi-hat in the right channel. Constantly amazed, I am. For as poppy a group as Glass Animals is (at least in this sophomore album), I am so grateful that they take their time in production. It really, really shows. I will say, as a single detriment (although I’m sure most every other headphone loses it too), that these headphones do almost entirely lose the flute melody at 3:40, although that is understandable as it, for that moment, is not the center of focus. Still, worthy to note. 9. Glass Animals – Poplar St. The fidelity of these headphones makes the guitar riff at the beginning of this track such a pleasure to hear. It has exactly the right weight and texture. It may just be that I’m paying slightly more attention to it, given the context of this, specific listening, but I am really appreciating the layering of this song on the HE-1. Everything comes in stacks, and they seem to be in perfect order with each other. End of Disc 1! I’m not experiencing a single bit of fatigue as of yet, although I would hope not to be. I put this track here purposefully, as I have tremendous respect for Jacob Collier in relation to his incredible skill at using music as a means of emotional communication. I feel that he is one of the most talented musicians, in any sense of the word, currently practicing to which I've been exposed. I’m very excited to hear how these headphones convey the density and complexity of this track. Plus, it’s just such a happy song. The drop-in of the strings in the first 30 seconds is always so satisfying to me. Just as I thought it would, the detail and fidelity of these headphones adds an entire new dimension to my enjoyment of this song. Jacob Collier puts an incredible amount of thought and work into how he composes, arranges, and voices every element of his music, and the attention to that thought and work by these headphones is an utter joy. Every textural shift is just supremely satisfying, and automatically perks up my ears to each song, again and again. This has likely been my favorite track presentation thus far. This is quite the genre switch, although it’s one for which I’m very excited. I’m already hearing new details in the voice of JJ Julius Son, and that’s part of why I put it in here. Julius Son has a tremendous and very unique voice, and it’s just beautiful by the HE-1s. Every single inflection point (especially those at the very end of each note), quirk, and bit of grit is conveyed in full detail. The weight that these headphones are able to generate is also an advantage for this song; I’ve been nodding along from the start. Just as with Julius Son's voice, the detail in the guitar rhythm is just so satisfying. Every screech, scrape, and chirp is caught and portrayed without fail. Another genre switch, but this time in the opposite direction. This song feels extremely open, to me. Hope Sandoval's voice sits exactly in the center of the acoustic image, and fills up a ton of space. The drums sit back, relaxed and quiet, with the organ line underscoring all prior. Very pleasant, it reminds me of floating down a lazy river (though with fewer drunk moms and obnoxious kids). Something that I really enjoy of the singing on this track is the way that the reverb on Sandoval's voice ebbs and flows – it’s extremely smooth and consistent, even though it’s one filter removed from her actual vocal performance. Again, the crispness and detail of these headphones just put the experience a level above anything I’ve heard. The pitter-patter of the brushes on the hang drum is just incredible, with its pace and detail being replicated flawlessly. This is another track where I’m surprised by the feeling of space in these headphones. I really do ascribe it to the incredible precision of the imaging, as even in the HD 800-comparatively small soundstage, everything finds its exact, proper position. Oh, what I would give to have a pair of these on my desk at home. The precision comes in again as increasing my enjoyment around 2:38, as the expertise of Portico Quartet’s drummer shines through, each note falling exactly where it should. Although this is usually used in a different context, he’s certainly the embodiment of a pocket drummer. I’m noticing through this listening that the vocal replication of the underlying melodic theme actually starts much earlier than I had previously started - just extremely, but perceptibly, quietly. Another song that I was very excited to get to put through the HE-1s. Chris Thile’s control in the upper register is quite a feat, and I’m very excited to hear it again. I’m immediately surprised by the heft of the stand-up bass. It really rings and thumps, in exactly the right ways. And… I feel right to have put this in here. The presentation of his voice is immaculate. There’s little more that I can say to convey how incredible this experience is and has been, but I’m sure going to keep trying. I’ve just been given the 15-minute warning, so I’m going to plow through a couple more songs for my own enjoyment. The complexity of this song is unpacked perfectly. Every single element, and the individuals within each, are conveyed just right. I’m especially pleased with the presentation of the entire battery of percussion. Every cymbal, drum, clave, etc. comes through perfectly. Especially the cymbals, they’re crisper than I think I’ve heard in any other headphone. I really do think that the overarching phrase that I would use to describe what these headphones do better than anything else I’ve yet heard is fidelity. Plain and simple, they just do music better than most anything I’ve had the pleasure of hearing. This is another, “just happy,” song. I’ve got fond memories all the way back to early childhood from this track, as it’s one of my dad’s favorites. I will say that the relatively small soundstage of these headphones does not prefer the hard-leaning instrument panning that whomever mixed and mastered this song used. It feels almost unbalanced, as there isn’t enough space for Van’s voice in the center. Still, very pleasant and very jovial. This track feels very tight, and not in a bad way. Everything is exactly, surgically precise, and the panning, fading, and swooping of every line is very satisfying. I wouldn’t say that it's necessarily easy on the ears, but that’s not what I’m looking for here, at all. I want something I can tap my head along to, not nod, and that’s exactly what I’m getting. God, what a good time these headphones are. This was another personal track that I just had to put in here – it’s the first that I ever heard of Glass Animals (interestingly enough, in The Blacklist of all places). The liquidity, spaciousness, and reverberation of every element of this track meshes together absolutely perfectly. It feels almost as though everything is a part of the same musical background, just with points popping in and out with different contributions. The HE-1s manage the cohesion of every element together absolutely perfectly. This song is one of my favorites for use in demonstrating what I mean when I say soundscape. It’s totally inclusive, and entirely fills my ears with the experience that Dave Bayley was aiming for, every time I put it on. Just more so this time. This is another song to which I have familial ties. Although my nuclear family is Jewish, we celebrate Christmas with our extended family, and this is one of my mother’s favorite Christmastime songs. It follows very different themes than most holiday music, although it steals a melody from Jingle Bells. I will say, hearing it laid bare by the HE-1, that I wish Joni Mitchell had used a better pop filter. But, the piano is presented supremely well, and that’s something with which so many headphones struggle desperately. Every single stroke of the keys is exactly precise, with the decays blending together just as they do in a live performance. I think a lot of the precision in the HE-1s comes through particular in the ancillary effects of a given sound (e.g. the reverb on a vocal line, as above mentioned, or in the decay of any given instrument). It seems that this is particularly where I often noticed an improvement in tracks with which I’m very familiar. So that's the end of that! Hopefully, to those that plowed through, they found it useful or, at least, enjoyable, in some sense. Now on to some more general thoughts. Interestingly, I think it's pretty clear to me why I enjoyed this experience so much. It seems that a trade often made by non-vehicle-priced headphones is between detail and musicality. Let me unpack that a bit, so as to not anger anyone. What I mean is that, generally, as detail increases, often what is lost is the low-end quality, or the lushness of the mid-range. That's simply the reality of having to avoid obscuring the details that a given headphone manufacturer is shooting for. What's interesting to me is that the Orpheus provided me, in every track through which I put them, exactly the right amount of heft. The right amount of thump, of bass, of (let's be gestural) emotion that I was looking for. But, in the exact same breadth (or rather, at the exact same timestamp), I got every single detail (and I mean every single detail) that I had ever heard in any given track. In many cases, I got more - new ones that, even in tracks I have heard thousands of times, I had not had the fortune of hearing. Additionally, I was consistently impressed by the imaging. The soundstage really isn't small. I'd call it closer to mid-size, maybe akin to something like Fostex's TH-900 Mk II (although that comparison is time-removed on my part, that review was a long while ago). But, just in the same vein as the detail that I discuss directly above, the precision and utter correctness of the imaging in the HE-1s is what makes me want to literally break the bank. I am so preemptively sorry for my use of this phrasing, but the best way I can describe why I loved this experience as much as I did is as follows. The way in which I'd sum up my above, "More General Thoughts," is that the HE-1 are the highest fidelity headphone I've ever heard. I won't say that I've finally, "heard fidelity," and I certainly won't be closing up shop here any time soon. However, this is absolutely as close as I've come to hearing pure fidelity. There, I said it. Well, that's about it! Thank you to all who trudged through this long, in-the-weeds, fanatical review and to those who skipped to the bottom. It has been a genuine pleasure, on my part, to be able to share the wonderful experience that I was afforded with you. Again and again, thank you to everyone at the Sennheiser SoundLab in the Peninsula Hotel; this was, likely, a once-in-a-lifetime opportunity, although I can hope beyond hopes that that isn't the case. If you, the reader, are ever in Shanghai, do yourself the absolute favor of stopping by either the store that I did or their larger, long-term location near People's Square. There is not a chance in hell that you'll regret it.